At ASG we can address the needs of your facility by implementing a comprehensive security solution to protect your enterprise. Our wide service base that incorporates access control, IP video surveillance, intrusion alarm and fire alarm to address the requirements of large enterprises. Our security solutions are ideal to protect commercial properties. Let Apollo evaluate your need for a state-of-the-art intrusion detection system to safeguard your enterprise from break-ins, robberies and violent crimes. Access control equipment can provide an additional layer of protection, giving access privileges to those who need them, but preventing unauthorized entry. Supplement this system with video surveillance options, and your commercial facility is virtually impenetrable. A proactive step toward protecting company assets can come from implementing a video surveillance program. Studies reveal that employees are far less likely to steal from employers when they know security cameras are watching. Video surveillance can also deter break-ins and reduce company liability. The mere presence of cameras can often be a major deterrent to intruders attempting to break in. 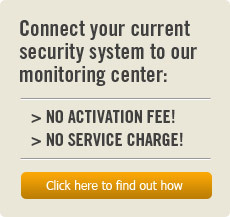 ASG can also integrate central station monitoring services into your video surveillance program. Notification as well a visual verification can be made to on-site security personnel of activity at key entry points. By implementing a commercial alarm system businesses can proactively address inventory shrink/revenue loss and employee safety. Protection from lawsuits and other costly future liabilities is an added benefit of such a system. 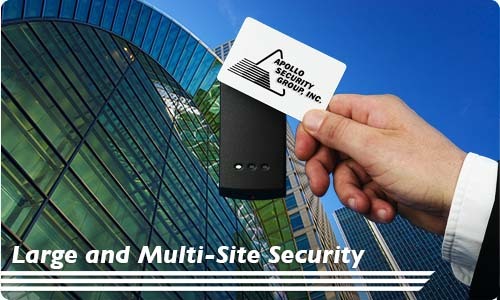 To learn more about our Enterprise Security solutions, contact Apollo Security Group Inc. today. Call 623-463-6300 now, or fill out our contact form and we will respond promptly.